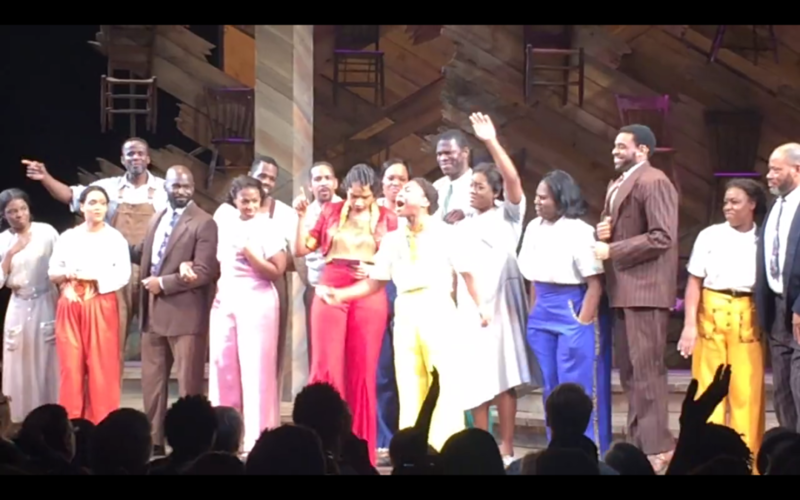 Music legend Prince died at the age of 57 on April 21, and on the night of his passing, the cast of The Color Purple expressed their love for the late icon with a special tribute following the curtain call. Jennifer Hudson and Cynthia Erivo led a powerful rendition of “Purple Rain” with their co-stars and invited the audience to join in for the final refrain. The show ends with the cast singing, "Like the color purple, where do it come from? Now my eyes are open; look what God has done," and those lyrics resonated as those onstage and off celebrated Prince's life and career at the Bernard B. Jacobs Theatre. Take a look below at the thunderous performance.